Have you ever thought of trying your favourite dress in a virtual trial room. Well! 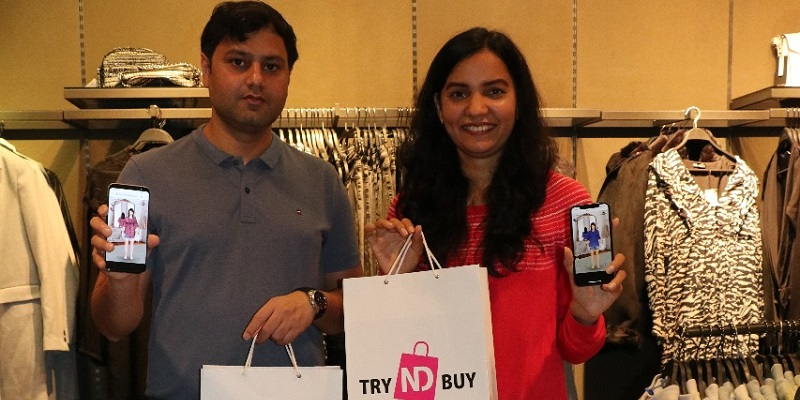 now you don’t have to step out of your homes, only just to try out your favourite clothes, because a Mumbai based fashion, TRYNDBUY has made a patented software that is dedicated to create a digital trial room, which can be loaded into a fashion retailer’s mobile application. A selfie-oriented module is created will online shopping look cool and wild. Founded in 2017 by Nitin Vats, the platform permits people to try out their chosen apparel using virtual stylists and trial rooms before purchasing their specific products. A user must take a selfie after browsing for his/her specific product. Then, the user must observe if the apparel suits him/her properly or not. The platform targets to be the world’s biggest human face/body data and intelligence data library, which can create ‘selfie models’ of all online users. Nitin states that his Mumbai-based start-up and its image-based trial room can change the scenario for retailers globally. Speaking on the launch, Nitin says, “This wins the customer faster and the retailer can increase sales”.